Corridor of a rural hospital What do you do when your beds are full but more patients arrive and the next hospital is far, far away? Nurse’s Day update: if this intrigues you, take a look at my second book. It was written specifically as an orientation to Nepal healthcare, in a readable way that also makes it a great “beach read” for nurses. May 11th update Today’s Nepali Times featured a written assessment of the Nepal government disaster response by Mark Zimmerman, MD of Nick Simons Institute. I respect and value his opinion, and I think every interested party should read this. Click here. This is specifically for nurses who volunteer to work in disaster relief in Nepal. If you are an American nurse thinking you can walk into a Nepali hospital and function, all by yourself, you will need to be very clever. I originally wrote this in 2011. It seems timely to reblog because of the earthquake. It is one of the appendixes to my first book, The Hospital at the End of the World. The original was straight out of the book; this is now edited. Since I am the original author, I sought and received permission from – myself. And if you want more pictures, The Hospital at the End of the World has a FaceBook Page with about 500, total. Reblogged and updated from 2011. 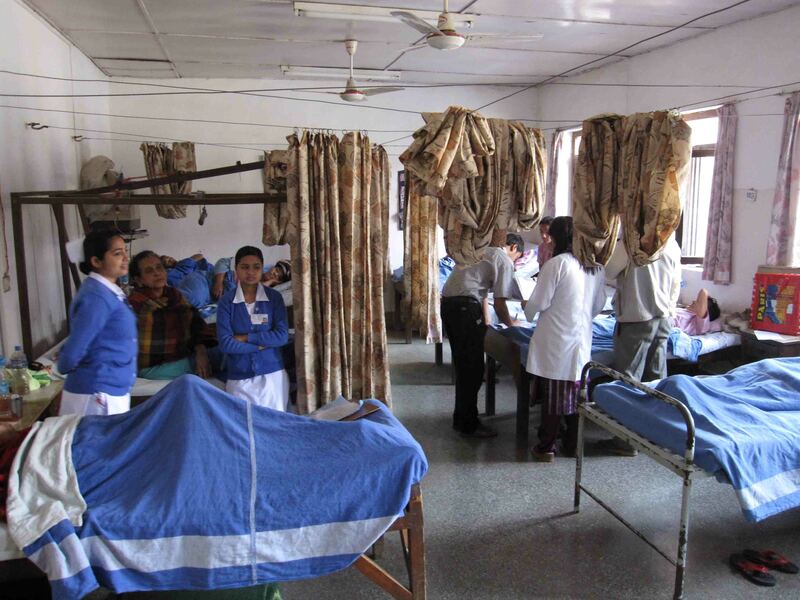 What is Different about Hospitals in Nepal? The first three weeks at Mission Hospital were my orientation. It was overwhelming, but I plugged away at it. During this time there were many small details to learn. Here in no particular order are the differences between the ways that a nurse works in a Mission Hospital in Nepal compared to a hospital in the US. Gloves are recycled until they break. The gloves are latex. 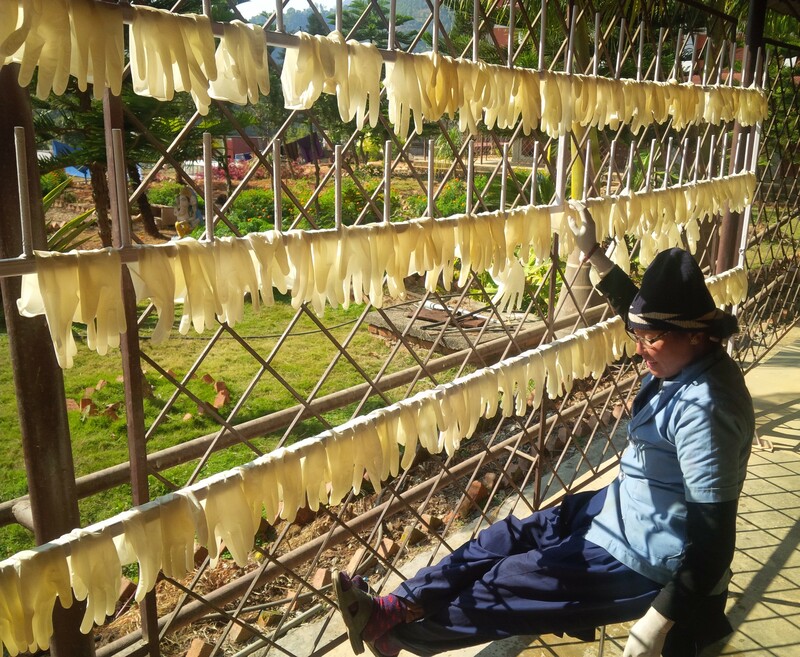 When they are soiled, the gloves are placed in a special bucket to be cleaned, re-powdered and recirculated. An employee of the supply department makes the rounds to collect the soiled gloves each day and bring a new supply. The latex gloves are saved, and cleaned for re-use. Until recently, this was also the case with syringes; fortunately nobody I know of is cleaning and re-using syringes any more. The patient rooms do not have a sink. 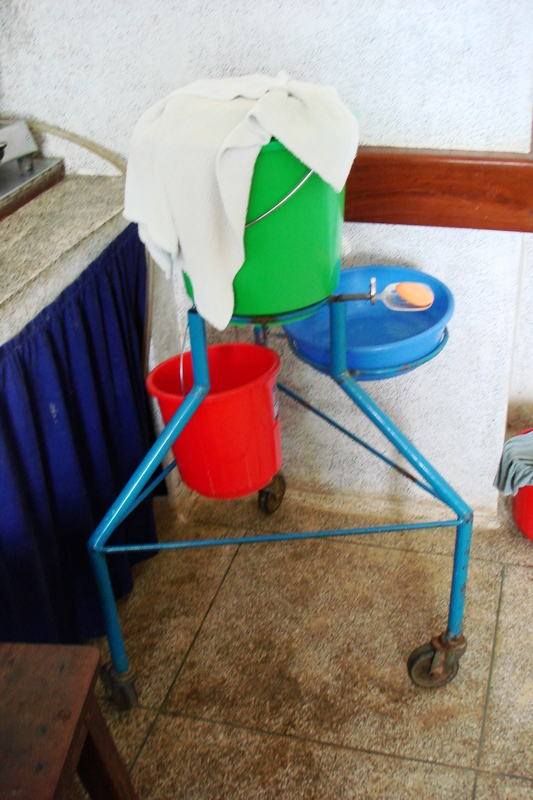 When the doctors make rounds, there is a special rolling hand washing station on a wheeled tripod that accompanies them so they can wash their hands between patients. The charge nurse reminds the doctors as if she is a mother nagging the kids. Near the nurse’s station is a sink with a bar of soap and a fresh towel replenished each shift. For a story about the soap, click here. All the nurses use the exact same pattern of systematic hand washing when they stand there, which ends by cupping water in the hands to splash over the faucet, almost as if for good luck. On a medical-surgical ward, you still get the open-ward design ala Florence Nightingale. At night, a family member brings in a bed roll and sleeps under the bed, awakening at two in the morning to measure and record their relatives’ intake and output. If a patient is incontinent, the linen is changed by the family. At seven in the morning, the Chowkidars come and sweep through the wards, telling the relatives that they must leave for the two-hour period of doctors’ and nurses’ rounds. So as the employees arrive through the front gate, they are met by a stream of tired people carrying bedrolls. 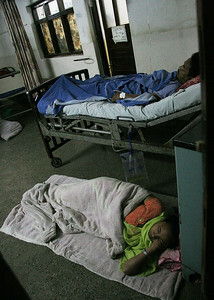 Brad Wong photo, 2008. women’s inpatient ward. eleven women, one bathroom. Each unit has a Eurogard water purifier mounted on the wall, which plays a twinkly tune when water is flowing through it. There is only one water pitcher which is shared by all the staff, refilled from the Eurogard. refilling the shared water pitcher from the Eurogard water purification device. There are no paper cups. All the Nepalis are experts at drinking straight from the pitcher without actually touching their lips to it. https://youtu.be/fM2QU5tEBBkIf a person’s lips touch the pitcher, that breaks the rules of caste. The first ten times I tried this I spilled water over my scrub shirt. Brahmins will only eat food prepared by other Brahmins. In the hospital neighborhood, there are more than dozen small hotels and each has a kitchen. These hotels cater to the families of patients, since many come great distances to get to Mission Hospital. The family will stay in a nearby hotel appropriate to their caste, and rely on the hotel staff to make dal-bhaat. At ten o’clock in the morning and again at six pm, there is a parade of families bringing dal-bhaat on covered stainless steel plates. The hospital in Tansen does not provide food for the adult patients, unless they need a supplement, in which case they get Sarbotham Pitto. This is mainly grains with some vitamins added, and the staff would cook some over an open gas flame every morning. The smell of porridge now makes me think of mornings at the hospital, a sort of olfactory hallucination. At other hospitals where there may be a food service, there is no individualized menu. 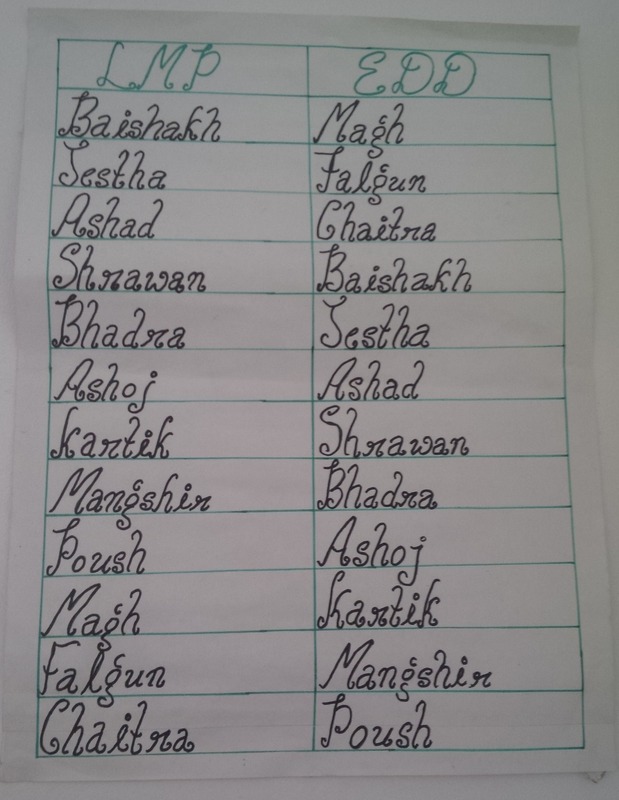 Everybody eats dal-bhaat and when they go home they will eat dal-bhaat, so the hospital menu includes – dal-bhaat! There is a Hotel-Wallah at each hotel. These men accompany the family members to the hospital and sometimes help the chaplains or the doctors with various tasks. The hotel neighborhood was given the name Shantytown many years ago, but then the Nepalis adapted the same name, because Shanti means peace in Nepali. The usual time to give daily medications is one PM. The doctors write the name of the medication directly on the medication administration record and the nurses do not recopy the medication list. This is considerably simpler than the system most American hospitals use. Mission Hospital does not have a pharmacist in the Pharmacy department. The medical staff only uses five antibiotics most of the time – gentamycin, ampicillin, penicillin, chloroamphenicol, and cefazolin. For adults, there is a standard dose for each one except the gentamycin. The nurse counts up the number of doses of ampicillin and reconstitutes them all at once, then does the same for the next antibiotic. The doses are piled on a single tray with one divider for each medication, not divided according to patient or room number. There are no trips back and forth to the medication preparation area once the nurse starts medication administration rounds. 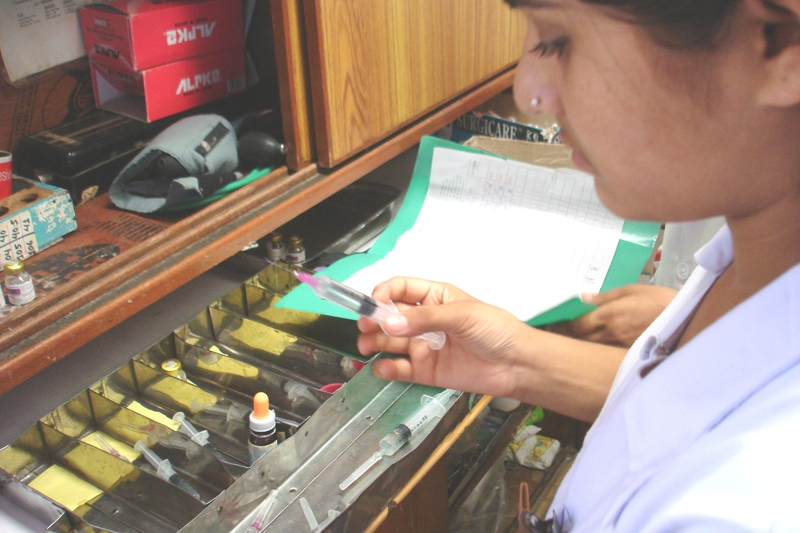 A checklist is used to indicate who gets what, but the individual syringes are not labeled with the drug name or individual names of patients. UPDATE: more of the big city hospitals are using unit-dose these days. There is always a pharmacy on the premises of a hospital – the family has to buy the meds, with cash as a rule. 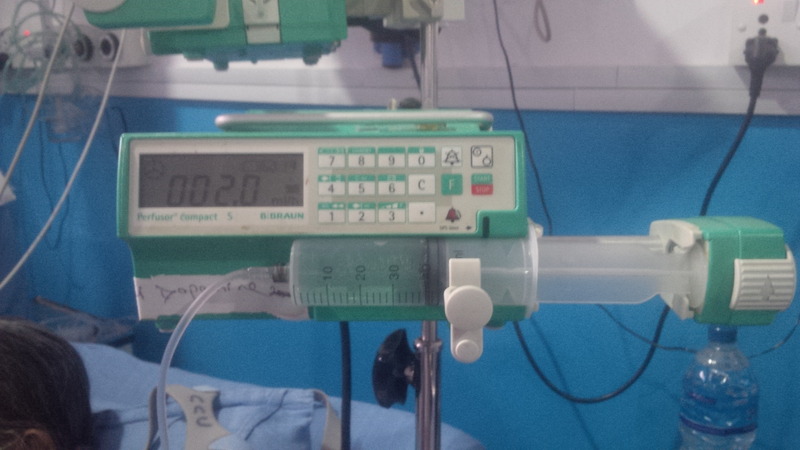 unit dose, at the bedside, in one of the newer hospitals. 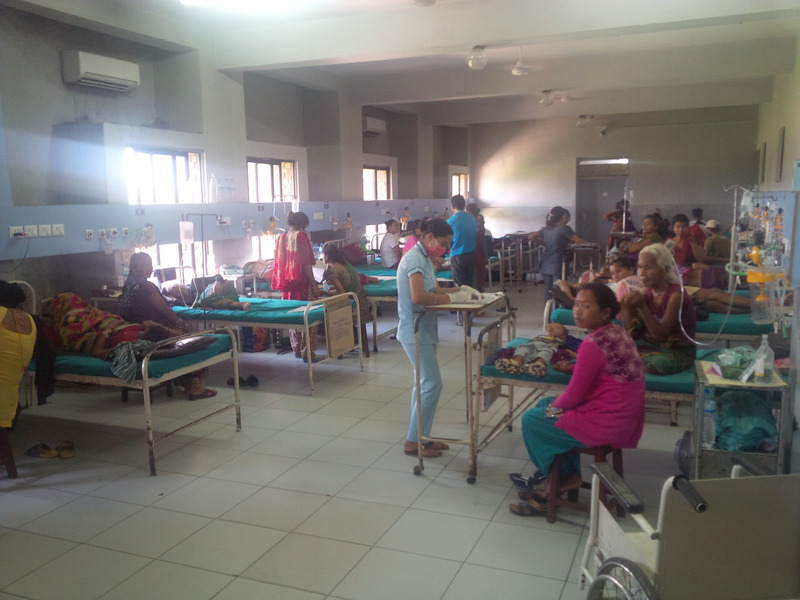 Most of the hospitals in Kathmandu were intact after the earthquake. Yes, there were overflow patients outside. The stuff on the IV tray is not what you are used to, and the actual holding of the IV needle when you are inserting, is different. 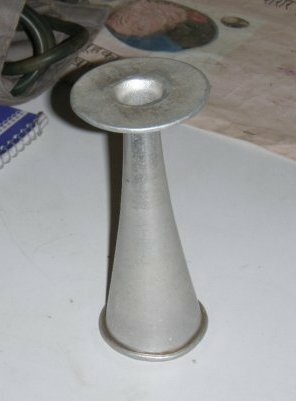 A syringe pump. In USA these days, pretty much every IV is on an infusion pump. 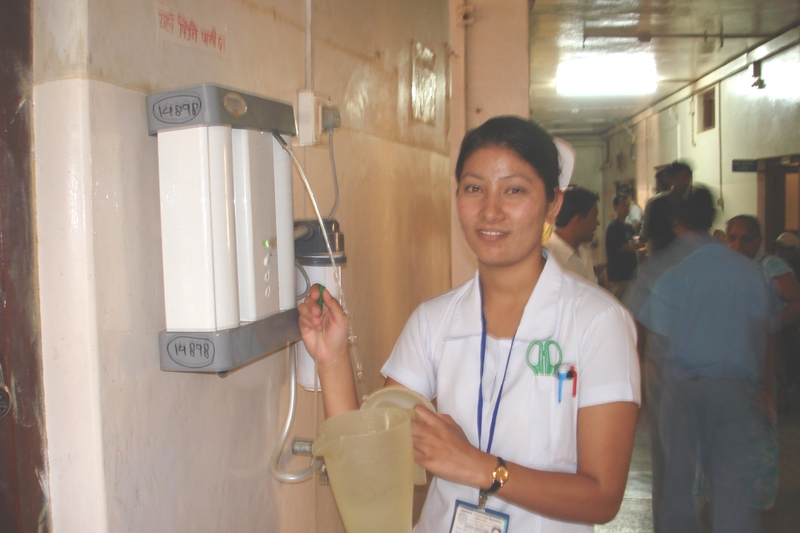 Nepal hospitals generally free-hand the IVs. This one is being used for dopamine. Even dopamine, which is a powerful adrenergic drug, is given this way, with the added precaution of a “burette.” As a rule, the patients have excellent veins – few people are obese. Many are manual laborers. It is easy to start an IV on a Nepali. No central lines and no PICC lines. 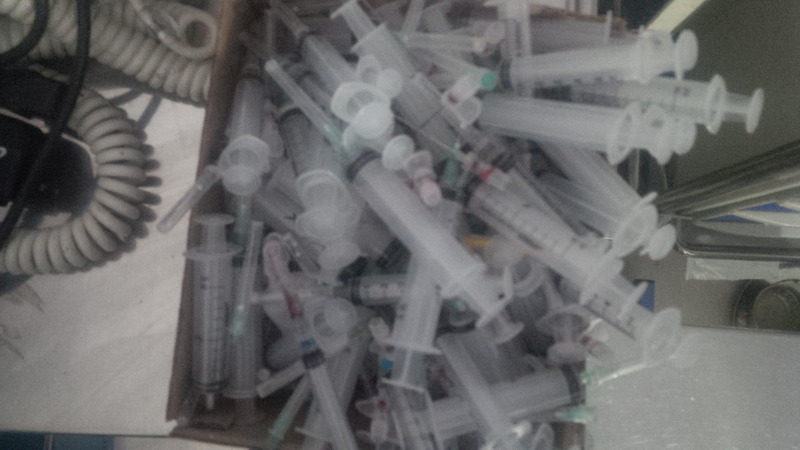 The hospital does not yet have a needleless system. The system for disposing of biomedical waste is not always what you wished it would be. SOme things are recycled – for example, med vials do doubleduty as specimen containers – but, not everything. The nurses do not routinely wear gloves when handling IVs. A nursing student preparing a dressing tray. The system widely used for dressing changes is one we used to use in USA up until the 1970s. I rarely saw three-bottle chest drainage while I was there, and when it was needed they literally used three bottles on a little wheeled stand – no pleurevacs. chest tube drainage system. it is a “one bottle” in which the end of the tube goes under the surface of whatever is in the bag. When the bag is emptied it is never go be empty all the way; saline will be added to ensure this waterseal. Mostly they stuck to one drainage bag – strictly speaking, the “second bottle” of the three-bottle system. The first time I saw this I was skeptical. Surprisingly this system seems to meet most of the need for chest drainage. nursing student with the chest tube system. The wooden beds are not adjustable. The beds are too close together to permit a stretcher in between, so when a patient needs to move from bed to stretcher the family does it or else we call the peons to come in a group of three and do a manual transfer. Sometimes relatives cry as they watch this. It was not until later that I learned the reason. When a person’s body is cremated, three male relatives will lift it onto the pyre the exact same way. It triggers a memory. Women never attend a cremation in Tansen, by the way. Only men. By the same token, men never attend childbirth, not even if they are the father of the baby being born. Nobody will get into bed between two white sheets, not for a million rupees. The sheets are blue or pink. White is the color of a shroud. There is space on the roof for clotheslines, and on sunny days baskets of wet sheets are carried up three flights of stairs and set out with clothespins. 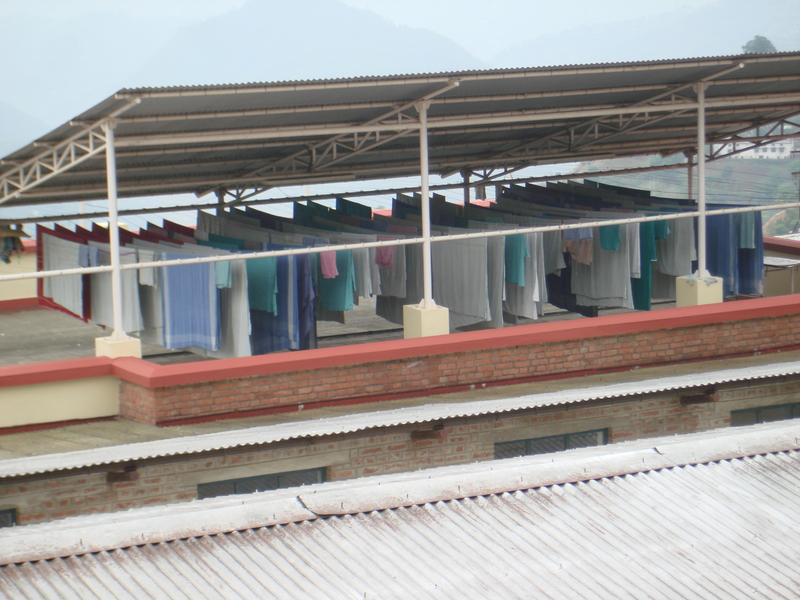 The hospital owns an industrial clothes dryer but only uses it during monsoon, to save electricity. The mattresses are about two inches thick, just like the ones at a typical Nepali home. Many people do not sleep on a mattress at home, just a woven mat. you might want to brush up on how to use this. 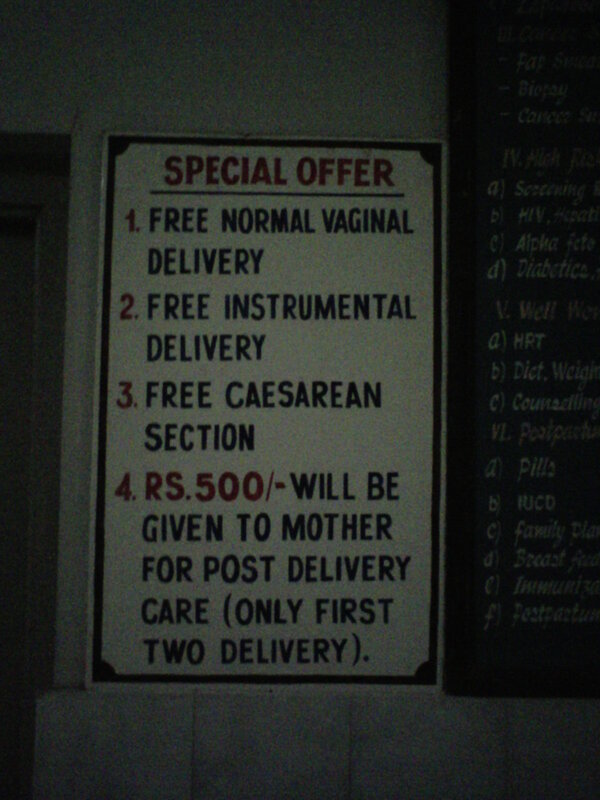 The Nepal government decided to pay for childbirth in hospital, which is a good thing. here is the list of benefit. on OBS Ward. 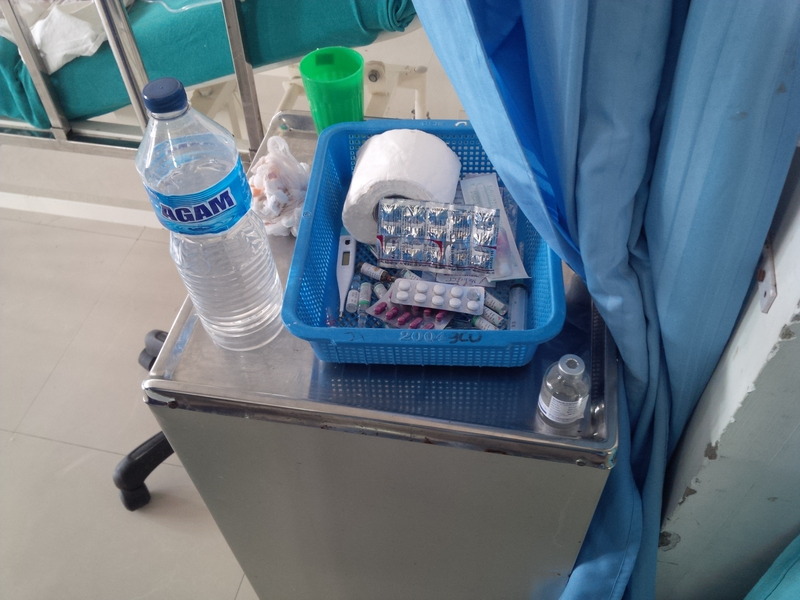 emergency drugs used for PIH cases. The systems may not be fancy. they are limited by lack of money. But that does not mean that nobody has thought them through. On the contrary, somewhere along the way they given planned things out. Nepal uses the Bikram Sambat calendar. here is one handy-dandy way to determine EDC in Nepal. Got it? meconium aspirators are usually made of see-through plastic, and disposable. 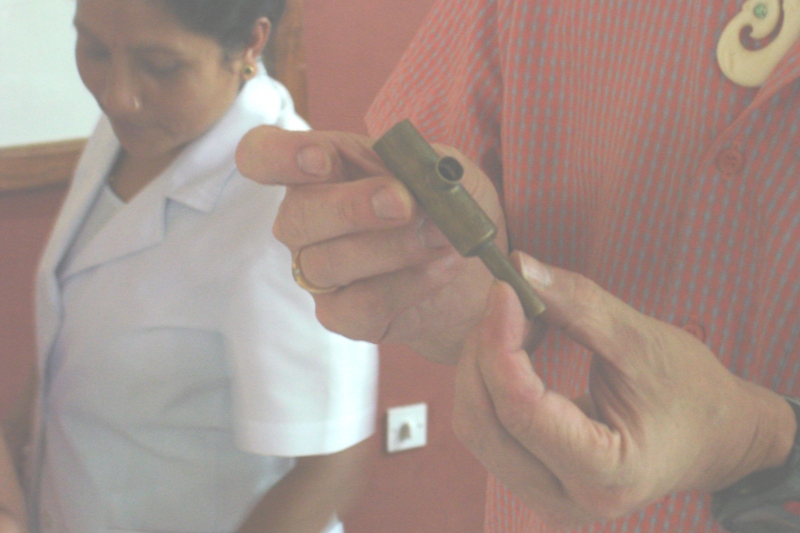 this hospital hired a local metal fabricator to make some that could be sterilized and re-used. It is hard to find a piece of scrap paper. The charts include just the most important information. 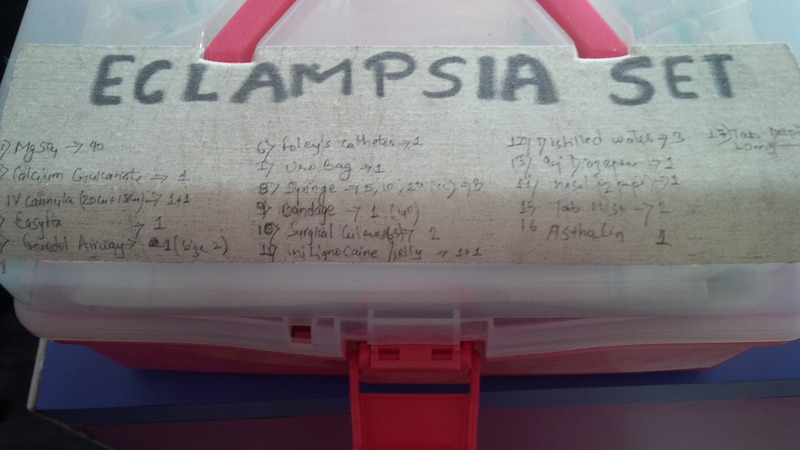 The hospital keeps the standard forms to a minimum, printed on cheap paper. If the patient is illiterate and needs to witness consent for an operation, there is an ink pad available so that a fingerprint can be used instead of a signature. When a patient is discharged, they are given their chart. 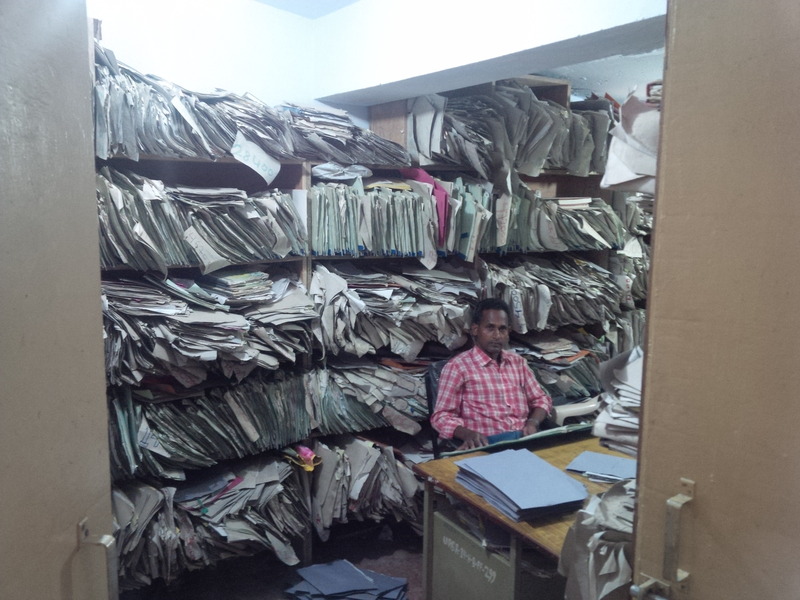 The medical record department of a 400-bed hospital. Most patients are given their chart when discharged. They don’t have CPOE yet. To get seen by a doctor in the ER or Outpatient Clinic, somebody has to go to the ticket window and buy a ticket. It must be paid for in cash before the doctor visit. waaay before the morning rush. 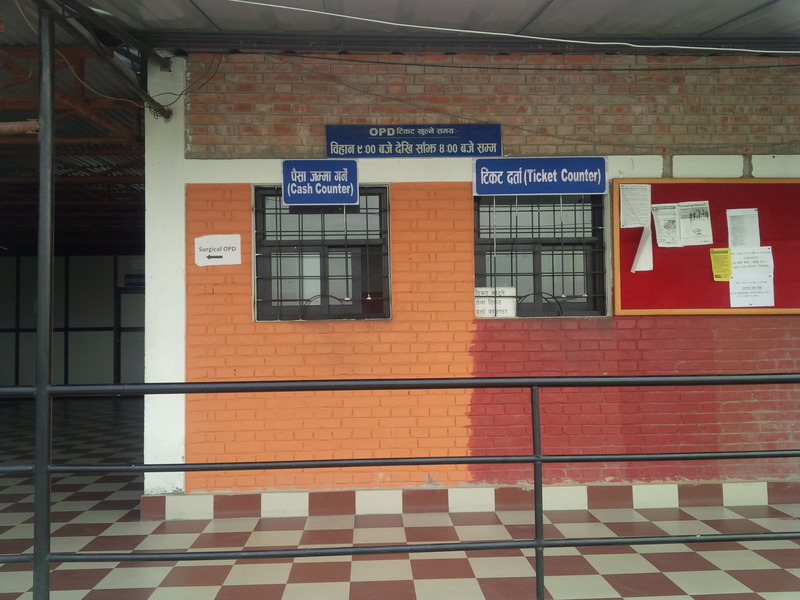 Every hospital has a ticket counter. There is a huge outpatient waiting room with long wooden benches. Downstairs from the main floor are separate clinics for leprosy, TB, and HIV disease, but there are many undiagnosed TB cases among the people sitting in the waiting area. The Nursing School is located just downhill from the Hospital, connected by a long straight stone staircase. The school is brick, constructed like a military fort with classrooms, offices and dorm space around a central plaza, guarded by its own Chowkidars. The students stay five-to-a-room, and the dorm rooms are smaller than my faculty office at the University. A student once told me that most of her classmates kept the same roommates for the entire three years of school. Restrooms and showers are at the end of the hall. The School has its own canteen, and if a student was on night duty she is allowed to appear in a track suit or something casual. When I ate at the canteen I enjoyed looking through the window to see the dozen or so goats owned by the School. The kitchen staff each take a turn at watching the goats, and every now and again a goat ends up in the mutton curry. As the main ingredient. Students wear a uniform and old-fashioned nursing cap when at Clinical; on class days a bright purple sari with a white top, hair pulled back and no skin showing at the midriff. When the students cross the courtyard in their saris, it is like a flock of blue-and-white penguins going by. The school uniform worn for classroom and community health nursing experiences. There are no male students. On Saturdays students are allowed to go the Bajar in western-style clothes. They are not allowed to have cell phones, a great hardship for teenage girls nowadays. If you got this far, you deserve my thanks. I’ll keep tweaking this in coming days. Also, the first book and this excerpt, focused on the physical aspects of the setting for health care. 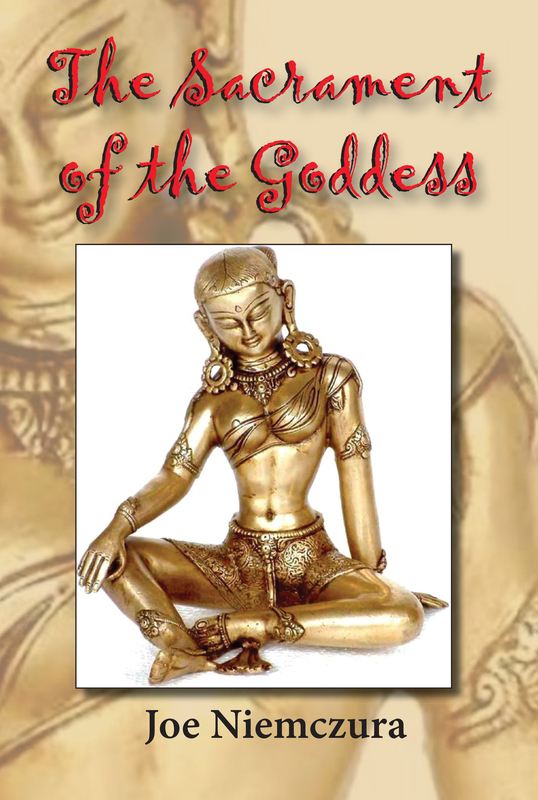 My second book, The Sacrament of the Goddess, focused more on the culture(s) of Nepal, and how this influences the way that decisions are made. It’s more about the interpersonal aspects of culture. This entry was posted in medical volunteer in Nepal and tagged are nurses needed in Nepal after the earthquake?, building back differently, hopingtohelp, Nepal earthquake nursing volunteers, nurses needed for disaster relief in Nepal, Nyaya Health, project HOPE in Nepal, volunteer as ICU nurse in Nepal hospital. Bookmark the permalink. Sheri – I have a Nepali RN license. I am a qualified midwife in this country, though I admit, hell would have to freeze over before I delivered one here. I have been inside two dozen or more hospitals. I know from whence I speak..
Are you living there now? I’m working on an FNP and am hoping to do some clinical rotations in Hawaii. Looking forward to hearing more! As a Neonatal Respiratory Therapist here in the states, the one item that caught my eye was the metal meconium aspirator. This article was very eye-opening to say the least. Thank you for what you do! It is truly a labor of love.